How is Meth Abuse Diagnosed? About 13 million Americans--and nearly 5% of high school teenagers--have tried meth, despite the overwhelming evidence pointing to the drug's dangers. About 2 million Americans are currently addicted to this dangerous substance. Meth isn't just a powerfully addictive substance. It also poses serious health risks even to those who would never consider using it. Covert meth labs release toxic substances and novice manufacturers can inadvertently start fires. Every year, law enforcement officials respond to more than 10,000 meth lab-related accidents. If you or someone you love struggles with a meth addiction, you're not just endangering yourself; you're endangering everyone with whom you come into contact. Unlike many other drugs, meth addiction occurs quickly, sometimes even after just 1 or 2 uses. Methamphetamine acts as a central nervous stimulant, which means that it increases activity in your brain and spinal cord. This might seem like a good thing, and it certainly feels good the first time you experience it, but too much brain activity inhibits your ability to control your emotions or make good judgments. The rapid-fire activity that is happening in your brain convinces you that you're more competent than you actually are, yielding a dangerous combination of poor judgment and high confidence. Changes in face shape, teeth, or skin. Frequently leaving the room to use drugs. Excessive confidence, feelings of elation or excessively high energy. Anxious, paranoid, or aggressive behavior. Meth's ability to quickly derail a life is virtually unrivaled. Unlike many other drugs, meth addiction occurs quickly, sometimes even after just 1 or 2 uses. Meth results in telltale signs of use that only get worse with prolonged dependence. "Meth mouth"--a change in oral health that results in yellowing, broken teeth, bleeding gums, changes in jaw shape, loss of teeth, and even frequent dental abscesses. Problems with relationships, the law, finances, or employment. Gastrointestinal problems such as frequent diarrhea or vomiting. Brain damage that can undermine memory, destroy brain cells and stunt brain development in young people. Sudden death due to accidental overdose. Cardiovascular problems such as heart attack, stroke, high blood pressure, or blood clots in the legs. Changes in mental health, including depression or anxiety. Spending all or most of your time with meth users. Being exposed to violent drug dealers. Giving up that which matters most--your marriage, your children, or your career--because of meth. Meth abuse is a debilitating problem, but it can be overcome with the right help. To find out more about available meth treatment options in your area, call our 24-hour confidential hotline at 1-888-993-3112Who Answers?. 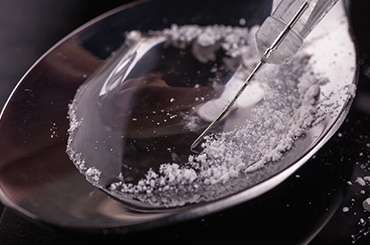 Mixing meth with other drugs is one of the quickest routes to a life-threatening overdose. When blended with other stimulants, such as cocaine or amphetamines, meth can induce a heart attack or stroke, lead to aggressive and even violent behavior, or cause seizures. Users who mix meth with depressants such as alcohol may stop breathing, experience blood pressure so low they lose consciousness or face dangerous mental health effects. Even when combined with prescription drugs, meth is exceedingly dangerous, so make sure you tell your doctor about your struggles with meth--even if you're embarrassed to admit to them. Any use of meth is a form of abuse unless you're one of the rare people who has received a medical prescription for this drug. If so, your use turns into abuse if you develop withdrawal symptoms when you attempt to quit using. Another sign is if meth causes serious problems in your life, such as anger toward a loved one, health problems, or legal difficulties. Methamphetamine addiction used to be a rural phenomenon, with people in far-flung regions relying on the drug as a substitute for harder-to-get street drugs. Now, though, the ease with which meth can be made means has led to a rapid increase in consumption throughout the country. In some areas, it's a popular club drug. The single biggest risk factor for meth addiction is exposure to the drug. No one becomes a meth addict without using meth, and when meth is readily accessible, would-be addicts are more likely to give it a try. A family history of drug addiction. People who face a number of risk factors are more likely to use meth though many users have no risk factors at all. Don't let denial get in the way of seeking the help you need. If you're concerned you might have an addiction, don't let denial get in the way of seeking the help you need. Many methamphetamine users are reticent to admit they need treatment because doing so feels like admitting defeat. This is the addiction talking. Delaying treatment will only delay your shot at a better life, so the best time to seek help for a meth addiction is always now. Meth addiction won't go away on its own and almost inevitably gets worse with time. Being unable to get clean despite your best efforts. Losing things that matter to you because of meth. Facing legal problems because of meth. Using meth to cope with the pain of mental or physical illness. Using meth as a performance enhancer. Being unable to envision a happy life without meth. Get Support Locate a Narcotics Anonymous 12-step program in your area and get help with you or your loved one's meth addiction. If you love someone who is addicted to meth, it's normal to feel frightened and overwhelmed. Meth often leads to violent and erratic behavior. Perhaps your loved one has even attempted to kick you out of his or her life. Addiction is an all-encompassing disease that harms not just addicts, but those who love them the most. It's tempting to blame your loved one for his or her addiction, but addiction is not something anyone freely chooses. It's a disease, and diseases necessitate medical treatment. Encouraging your loved one to seek treatment is the very best thing you can do to improve both of your lives. If the addict in your life refuses treatment, be prepared to set clear boundaries. Sometimes an intervention can be helpful in determining appropriate boundaries. Addiction is a disease that lies to its victims. Meth addicts are often convinced that there's no hope for recovery, that they were never happy without meth, and that they'll never be happy again if they give up the drug. This is the distorted thinking addiction causes and does not reflect a fundamental life truth. In reality, there are a number of methamphetamine treatment options available throughout the country. 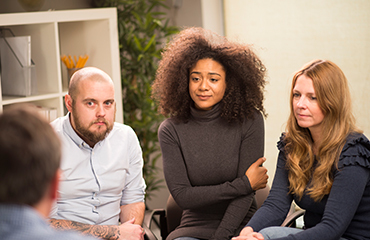 Inpatient programs offer intensive treatment that includes therapy, detox assistance, medical care, and plenty of support from other recovering addicts. You'll also get a break from the stress you face at home, and peer pressure will be less of a problem since inpatient facilities are drug and alcohol-free. If you're concerned that the rehab will be an experiment in pared-down living, think again. Many facilities now offer luxurious treatment options that include private rooms, lush scenery, and gourmet meals. Worried about how rehab might affect your work life? Executive treatment facilities offer luxurious settings in conjunction with a business-minded culture. Not only will your privacy be carefully guarded, you'll also be able to work while you're in treatment. Many facilities even allow residents to meet with clients at offices that look nothing like rehab facilities. If you're not ready to live at a rehab facility or you're leaving rehab but still want intensive care, partial hospitalization, and intensive outpatient programs may be an option. These programs offer treatment sessions most days of the week, with treatment that may last all or most of the day. At the end of the day, though, you go home--saving you time and money while offering you a chance to decompress with your loved ones. Therapeutic interventions can help you understand why you developed an addiction and what you could do to resist temptation. Your therapist can also help you with general stress management and coping skills. Your doctor can help you manage the detox process, in addition to treating any underlying mental or physical health conditions that contribute to your addiction. Many users can get clean and sober with Narcotics Anonymous alone. NA offers the chance to draw upon the wisdom of other addicts in a space of no judgment and plenty of compassion. Meetings are free, and happen throughout the day in cities and towns across the country. To start your treatment without delay, call 1-888-993-3112Who Answers? and get connected to professional rehabilitation centers in your area. Nearly 2% of 12th graders--or 1 in 50--have used meth at least once. 0.5%--1 in 200--have used the drug at least once during the last month. Teens are especially vulnerable to meth addiction, and meth use during the teen years can stunt both physical and psychological growth. Since meth is relatively easy to make with common household products, some teens even attempt to manufacture meth themselves, exposing those who live with them to significant dangers. If you know a teen whom you suspect of abusing meth, you need to act quickly. Recovery is most likely to stick when a teen freely chooses to seek treatment, so discuss the risks of meth abuse and present a variety of treatment options to your teen. If they're unwilling to pursue treatment, remember that meth can undermine judgment. Use your power as a parent to get your teen into a treatment program as soon as possible. They might not like it, but treatment means your teen will still be here to be mad at you tomorrow.